So Much To Do in March! Each month, Michael’s Wine Cellar hosts a casual, walk-about tasting in the retail store. The March Open House Wine Tasting will be offered 2-4 p.m. on Saturday, March 3 at Michael’s Wine Cellar. 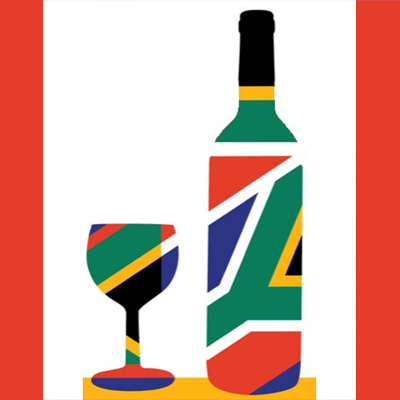 Guests have an opportunity to taste dozens of international wines at this casual, walk-about tasting. Admission is $10 per person. No RSVP is required and guests are encouraged to simply pay at the door. Continuing a popular series of educational wine tastings, an Argentina Wine Class will be offered at 6:30 p.m. on Tuesday, March 6 at Michael’s Wine Cellar. Admission is $20 per person and advanced reservations are required. At 7 p.m. on Thursday, March 22, Michael’s Wine Cellar will host an Alexander Valley Vineyards Wine Dinner. Alexander Valley Vineyards Head of Operations, Family Partner and Assistant Winemaker Harry Wetzel, IV, will lead guests in a vertical tasting through 2007-2012 Cyrus wines, paired with an extravagant five-course menu. Admission is $150 per person, plus tax and gratuity. Reservations are required. Michael’s Wine Cellar is located at 1283 S Tamiami Trail, Sarasota, Fla. Honoring the Orioles’ spring training season in Sarasota, Michael’s On East features a Baltimore Epicurean Adventure, March 1-31. Enjoy this specialty three-course dinner menu featuring dishes inspired by the “Charm City” for only $38.95 per person. A two-course lunch offering includes a choice of entrée and dessert for only $19.95 per person. For a “Grand Slam” culinary adventure, guests are encouraged to add wine pairings for $15 during dinner or $8 per glass during lunch. Each Monday, March 5 – April 30, Michael’s On East will donate a percentage of beverage sales in the restaurant’s lounge from 5 p.m. to 9 p.m. to the All Star Children’s Foundation. Happy Hour benefiting All Star Children’s Foundation will feature extended happy hour specials all night, allowing guests to enjoy a glass of Michael’s Private Label Wines, well cocktails and draft beers for $6 until close each Monday in support of this nonprofit organization. 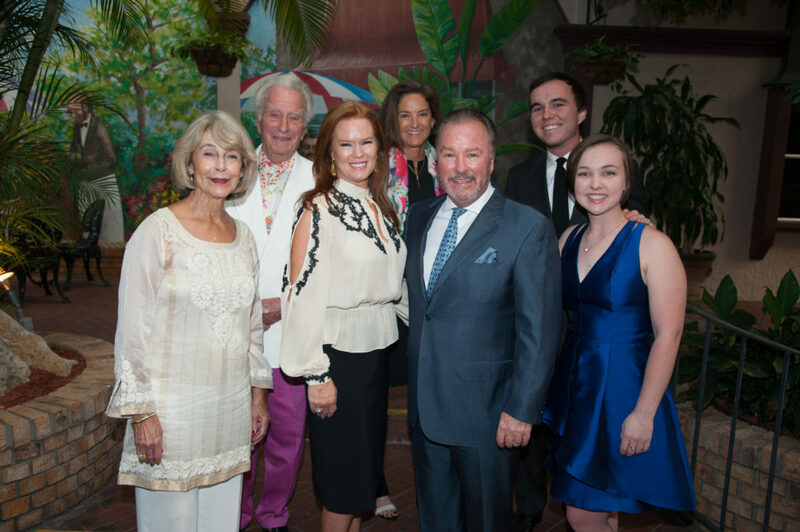 Michael’s On East is located at 1212 East Avenue South, Sarasota, Fla.
Michael’s is the exclusive culinary partner for Selby Gardens, so the culinary team has designed special menus to feature throughout the Gardens’ current exhibition: Warhol: Flowers in the Factory. 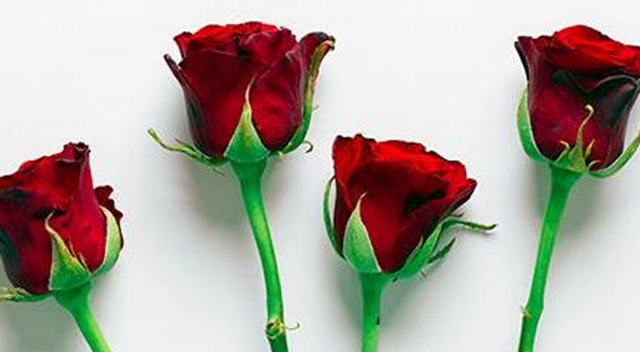 Andy Warhol, the groundbreaking artist known for his Pop Art multiples of celebrities and soup cans, created more than 10,000 images of flowers over the course of his career. Warhol: Flowers in the Factory showcases the surprising, and little examined, role of nature in Warhol’s art and life through the limited-time exhibition which opened in February continues through June 30. 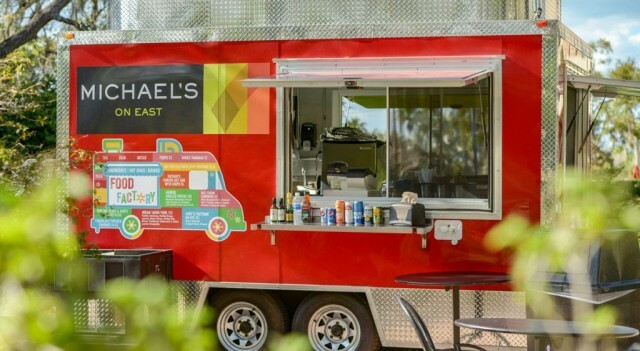 In addition to a new themed menu at the Selby House Café by Michael’s On East, the Michael’s team has reinvented its gourmet food truck, now nicknamed Food Factory, located in front of the Payne Mansion within Selby Gardens. Open 11 a.m. – 3 p.m. daily, members and visitors of attraction are invited to enjoy sandwiches, Nathan’s hot dogs, soups, pastries, cookies and other snacks from the Food Factory. Michael’s On East was founded on April 27, 1987. Located at 1212 East Avenue South in Midtown Plaza, the iconic restaurant is open for lunch 11:30 a.m. to 2 p.m. Monday through Friday, open for dinner 6 p.m. to close Monday through Thursday and 5:30 p.m. to close on Friday and Saturday. The restaurant is closed on Sundays, with the exception of Easter and Mother’s Day each year. The establishment is the winner of the 2009 Fine Dining Hall of Fame, and received their 28th consecutive AAA Four-Diamond Award in 2017. 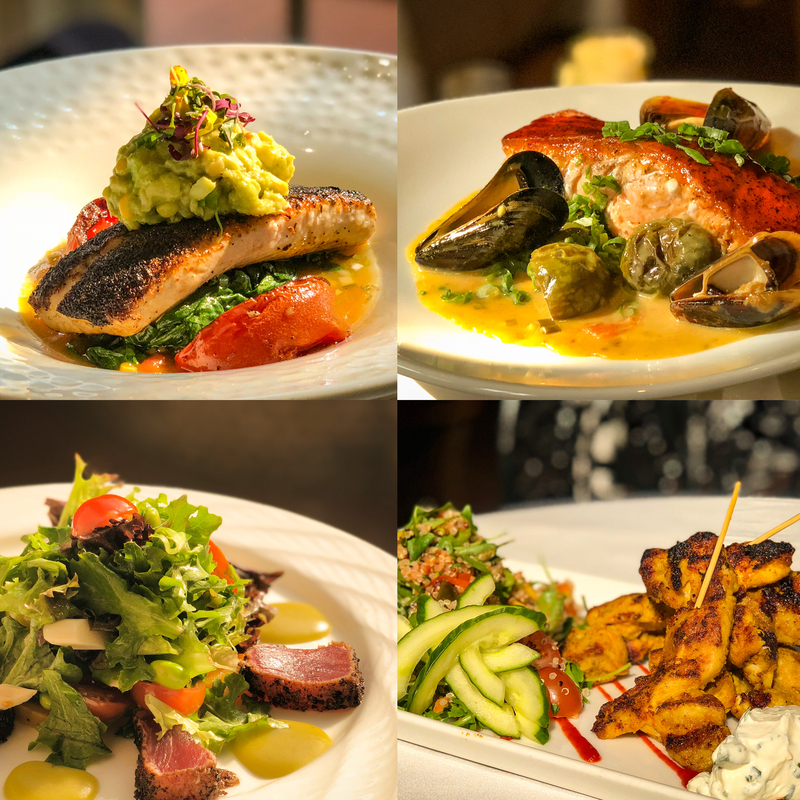 Michael’s On East is a contemporary fine dining restaurant featuring an extraordinary supper club atmosphere, inspired cuisine and an intimate piano bar. 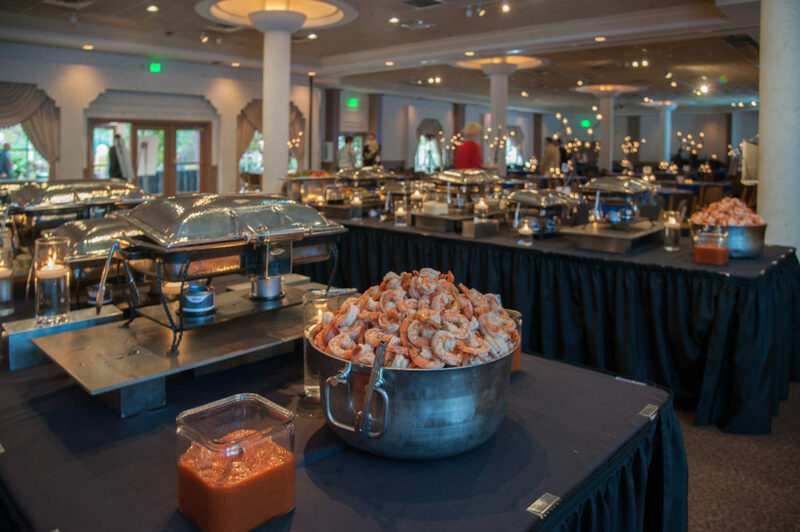 Michael’s On East Catering is Sarasota’s premiere caterer creating memorable events from candlelit dinners for two to dazzling galas for 1,000. Michael’s Wine Cellar hosts more than 1,000 International estate-bottled wines including more than 200 wines under $20, boutique spirits and craft beers. 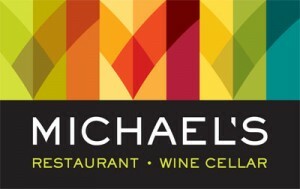 Michael’s Wine Cellar is open Monday through Saturday, 10 a.m. to 6 p.m. For more information, call 941-366-0007 or visit www.bestfood.com. We also value OpenTable for the tremendous feedback our guests provide when sharing reviews about their dining experiences during lunch, happy hour and dinner at Michael’s On East. This week, were were thrilled to reach another achievement based on YOUR choices and reviews. Michael’s On East has been recognized with the 2018 OpenTable Diners’ Choice Award! OpenTable Diners’ Choice Award lists are designed to celebrate top-rated restaurants and winners are selected according to real feedback from diners who booked through OpenTable and dined with participating restaurant. Thank you to all guests who continue to share about your experiences at Michael’s On East. Ensuring your next dining experience is deserving of your 5-star rating remains our consistent focus throughout the year. 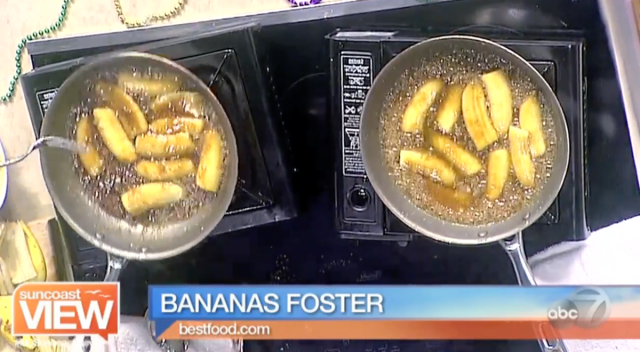 Michael’s On East Executive Chef Jamil was pleased to share a little history lesson about Bananas Foster with the hosts and viewers of ABC 7’s Suncoast View on Tuesday, February 6, 2018. Click here to view the complete video segment online. Combine the butter, sugar and cinnamon in a flambé pan or skillet. Place the pan over low heat on an alcohol burner or on top of the stove and cook, stirring until the sugar dissolves. Stir in the banana liqueur, then place the bananas in the pan. When the banana sections soften and begin to brown, carefully add the rum. Continue to cook the sauce until the rum is hot, then tip the pan slightly to ignite the rum. When the flames subside, lift the bananas out of the pan and place four pieces over each portion of ice cream. Generously spoon warm sauce over the top of the ice cream and serve immediately. 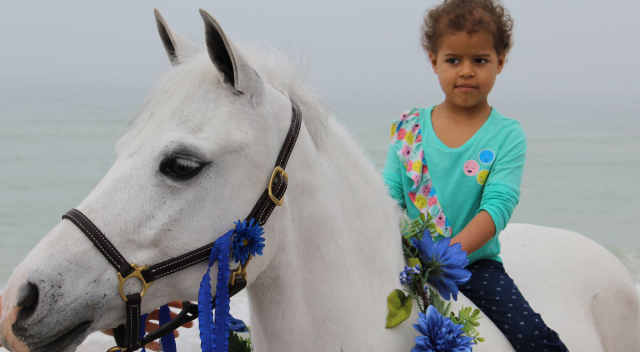 Please join us for All-Night Happy Hour, 5-9 pm on Wednesdays* this month as Michael’s On East donates 10% of beverage sales in the Restaurant’s Lounge to Make-A-Wish® Southern Florida. We suggest securing your Valentine’s Day reservation now at Michael’s On East as seating is limited for lunch and dinner on this special holiday set for Wednesday, February 14. Please call 941-366-0007, ext. 224 for reservation and waiting list details. Of course, what Valentine wouldn’t love a special bottle from Michael’s Wine Cellar, or even a membership in Michael’s Wine Club! We also offer e-gift cards for Michael’s On East and Michael’s Wine Cellar online, perfect for procrastinating sweethearts! The Michael’s team has plenty of sweet excuses to treat your Valentine this year, and everyday through the year. 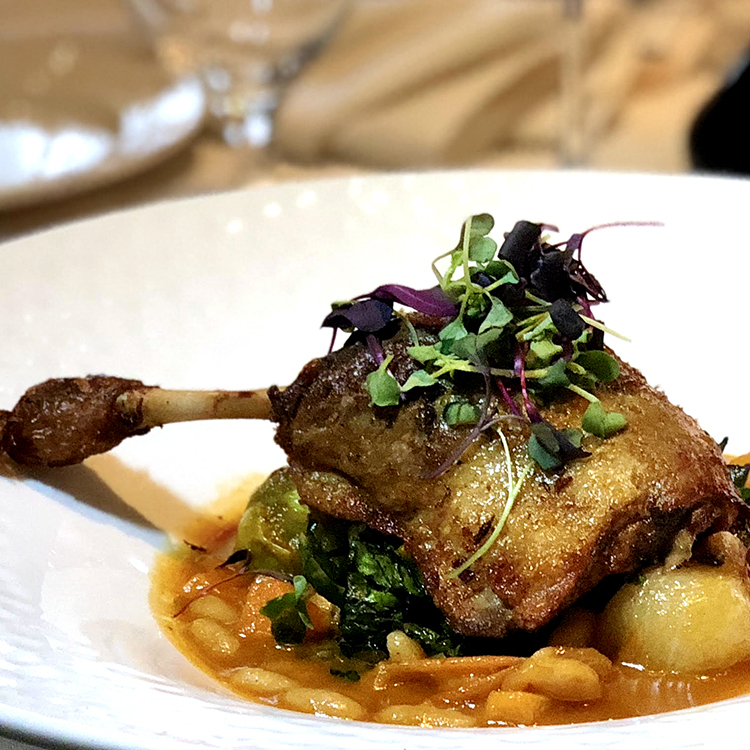 The Michael’s On East three-course French Epicurean Adventure dinner menu is available Monday through Saturday evenings for $38.95 per person, February 1-28, 2018. 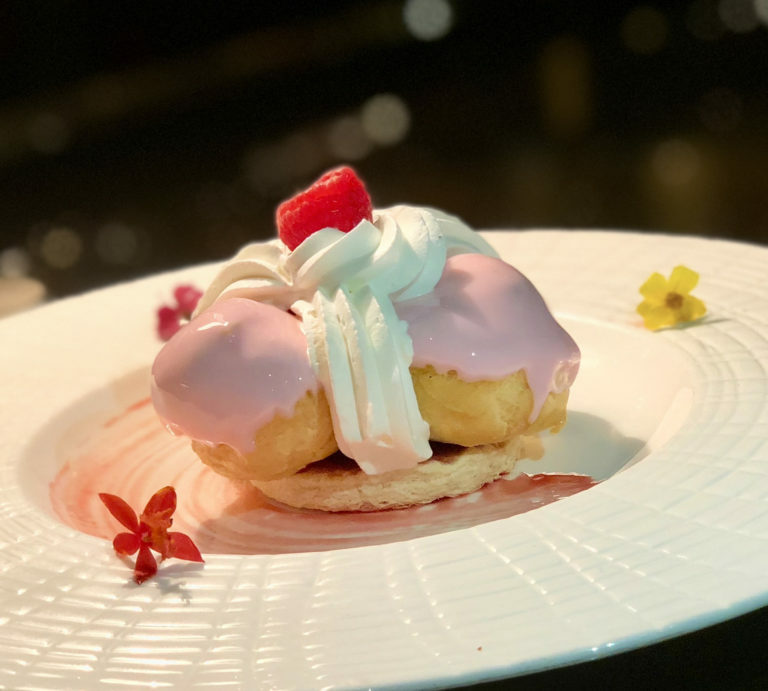 The two-course lunch offering features a choice of entrée and dessert for $19.95 per person and is available Monday through Friday, 11:30 a.m. to 2 p.m. Epicurean Adventure menus are not available on holidays including Valentine’s Day, Wednesday, February 14. Michael’s On East continues our All-Night Happy Hour on Mondays, now in support of Girls Incorporated of Sarasota County (Girls Inc) through February 2018! Please join us to take advantage of $6 beverage specials (Michael’s Private Label Wines, Well Cocktails and Draft Beers) from 5-9 pm each Monday in the Michael’s On East Lounge. The Girls Inc. educational experience focuses on the development of the whole girl, and equips girls in grades K-12 with the skills they need to successfully navigate gender, economic and social barriers and grow into healthy, educated and economically independent adults, prepared employees, and strong and ethical leaders. 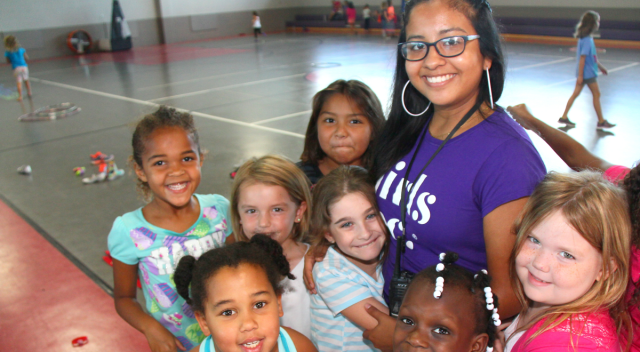 Girls Inc programs bolster their emotional, physical, and mental health and give them the support to achieve their goals boldly and confidently. As early as age 5, girls who attend Girls Incorporated of Sarasota County are exposed to life-changing education about entrepreneurship, technology, finances, engineering and science through national Girls Inc. curriculum and experiential learning through a girl-run city called “Dream Harbor.” Eighty percent of those who participate move on to attend higher education and have successful careers. It’s that time again. As we welcome the New Year, we often resolve to lose weight, limit our screen time or modify/quit other unhealthy habits. New Year’s resolutions are made with the best of intentions, yet so often we find ourselves slipping back into old habits, including lifestyle/diet decisions. But isn't it great when you can make a delicious decision which allows you to stick to a healthy dietary program?! 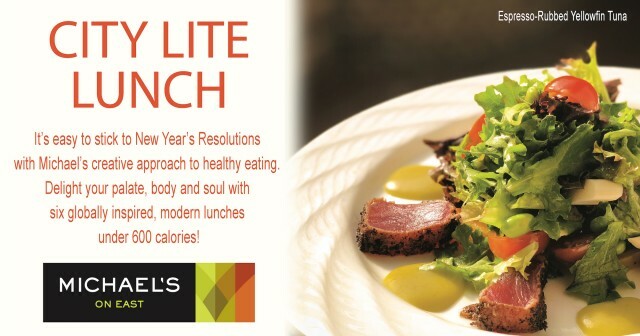 If your annual promise to yourself has anything to do with your waistline or simply eating cleaner, we’d like to offer some fabulous lunch dishes which will revolutionize the way you feel about “eating healthy.” Michael’s "City Lite" lunch menu will help you stick to your New Year’s Resolution in 2018, without skimping on any flavor. Michael’s creative approach to healthy eating delights your palate, body and soul with six globally-inspired, modern lunches under 600 calories. These high protein dishes, packed with fresh fruits and veggies, will make your diet meal plan delectable! Click here to view the complete lunch menu, including Michael's current City Lite Lunch entrees. The Michael’s On East culinary team has met their monthly challenge yet again as we welcome 2018 with an Epicurean Adventure to Tuscany! 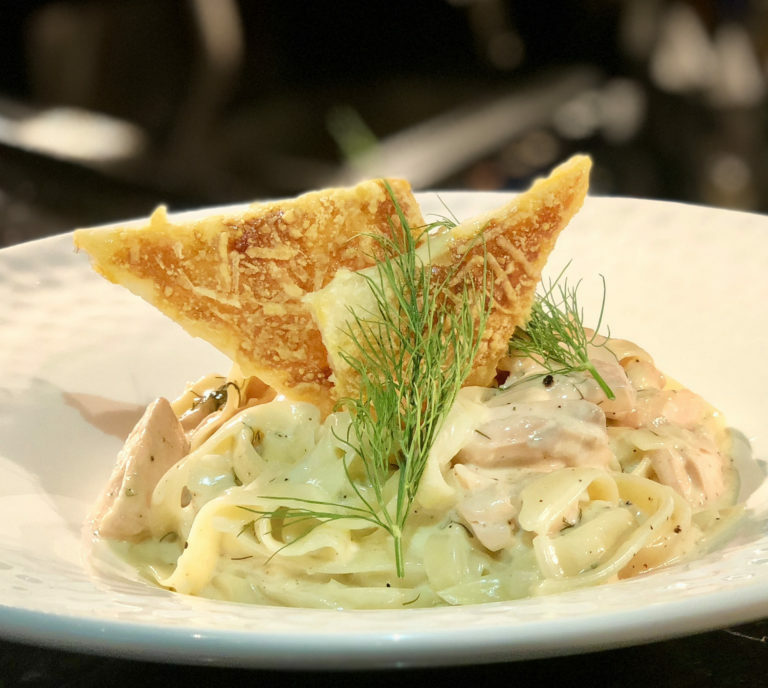 Offering monthly menus inspired by the world’s most exotic food and wine meccas, the Restaurant’s Epicurean Adventure this January will present a culinary experience inspired by one of Italy's favorite famed regions: Tuscany. The Michael’s On East three-course Tuscany Epicurean Adventure dinner menu is available Monday through Saturday evenings for $38.95 per person, January 2 - January 31, 2018. The two-course lunch offering features a choice of entrée and dessert for $19.95 per person and is available Monday through Friday, 11:30 a.m. to 2 p.m.
Light yellow in color and has notes of green apple. Very crisp with some minerality. Perfect with chicken and fish! Deep ruby in color. Rich bouquet of cherries, plums, and iris. Deep cherry and leather flavors with subtle wood notes and supple tannins. Michael’s On East in Sarasota was recently recognized as one of Florida’s best places to dine as a member of Florida Trend’s 2017 Golden Spoon Hall of Fame. The Hall of Fame members appear in the 50th Anniversary Golden Spoon special section in the December issue of Florida Trend magazine. 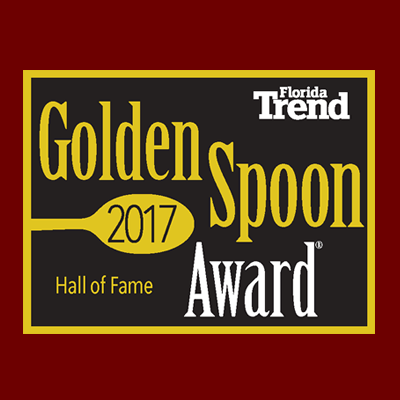 For a complete searchable list of the Golden Spoon award winners organized by region, go to www.FloridaTrend.com/Golden-Spoons. For more information about the restaurant and to secure reservations at Michael’s On East, call 941-366-0007 or visit www.bestfood.com. The Michael’s On East culinary team loves the challenge of creating brand-new Epicurean Adventure lunch and dinner menus each month. 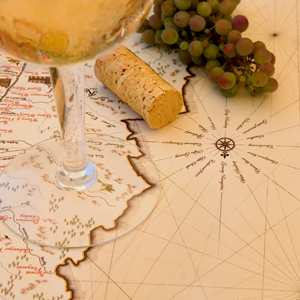 This season, we have decided to EXTEND our South African Epicurean Adventure through December! 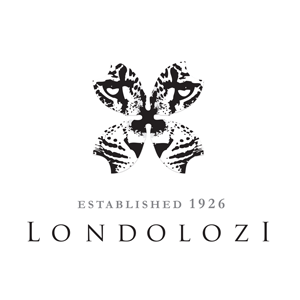 Our culinary team will continue to present special recipes all the way from Londolozi Game Reserve in South Africa! The Klaubers have fallen in love with Londolozi and South African cuisine as part of the bi-annual Gulf Coast Connoisseur Club journeys they lead in conjunction with Admiral Travel International every other year. 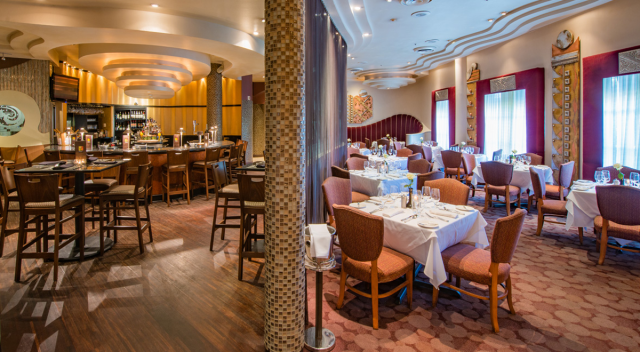 Now, Sarasota residents and visitors can enjoy an authentic taste of Africa from the comfort of their favorite table in the Restaurant at Michael's On East! Special thanks to Londolozi Game Reserve Executive Chef Anna Ridgewell for sharing her Cape Malay recipes with our own Executive Restaurant Chef Jamil Pineda and Pastry Chef Catherine Tighe. 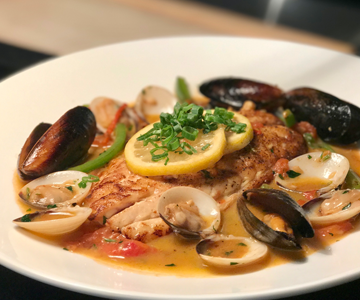 Please enjoy another recipe created by Michael’s On East Executive Chef Jamil Pineda! This dish is regularly featured on the award-winning Restaurant’s dinner menu and will be offered on the 2017 holiday menu for Thanksgiving, Christmas Eve, Christmas Day and New Year's Eve at Michael's On East! In a medium saute pan over medium high heat, sear scallops until golden brown. Flip and continue cooking until just translucent inside. At the same time, in another sauté pan, heat the butter until it begins to turn brown, add shallots, roasted squash, and then sage. Set aside until the dish is ready to be plated. Toss squash in a bowl with the oil, and salt and pepper. Place on roasting pan and roast in 350-degree oven till soft. Cool and reserve. Set three quarts of water to boil in a large pot. Setup an ice bath with three cups ice in a bowl and three cups water near boiling water. Make well in center of potatoes and sprinkle all over with flour, using all the flour. Place egg and salt in center of well and using a fork, stir into flour and potatoes, just like making regular pasta. Once the egg is mixed in, bring dough together, kneading gently until a ball is formed. Knead gently another four minutes until the ball is dry to touch. Roll baseball-sized ball of dough into 3/4-inch diameter dowels and cut dowels into 1-inch long pieces. Flick pieces off of fork until dowel is finished. Drop these pieces into boiling water and cook until they float (about 1 minute). Meanwhile, continue with remaining dough, forming dowels, cutting into 1-inch pieces and flicking off of fork. As gnocchi float to top of boiling water, move them to ice bath. Continue until all the gnocchi has been cooled off. Allow to sit several minutes in bath and drain from ice and water. Toss with canola oil and set aside until the dish is ready to be plated. Drop gnocchi into boiling water to heat for 15 seconds, add to sauté pan, add lobster and toss in pan to heat through. Place gnocchi and lobster mixture in center of plate, arrange the scallops in a tri-star around gnocchi and sprinkle on the crumbled amaretti. Garnish with the snow peas and serve! The holiday season is in full swing and the experienced teams at Michael’s On East, Michael’s Wine Cellar and Michael’s Events & Catering are prepared to provide area residents and visitors alike memorable dining experiences as well as no-hassle holiday gifts. New for 2017, a three-month wine club featuring hand-picked wines from boutique properties from around the globe is debuting just in time for the gift-giving season. Michael’s On East Restaurant is currently accepting holiday reservations for Thanksgiving, Christmas Eve & Christmas Day and New Year’s Eve. Michael’s On East will offer a traditional turkey dinner with all the trimmings for $29.95 per person, 2-8 p.m. on Thanksgiving Day, Thursday, Nov. 23, 2017. In addition to the turkey feature which includes mashed potatoes, pan gravy, candied sweet potatoes, green beans, dried cranberry and cornbread stuffing, a special menu is available offering signature Michael’s On East favorites a la carte. Holiday reservations are also available on Christmas Eve, 4-8 p.m. on Sunday, December 24 and Christmas Day, 2-8 p.m. on Monday, December 25, 2017 and New Years Eve, 5-7 p.m. or 9-10 p.m. on Sunday, December 31, 2017. A $50 cover charge applies for the later seating, which includes live music and dancing. Michael’s holiday dinner menu featuring favorite signature dishes and inspired global fare is offered on Thanksgiving, Christmas Eve, Christmas Day and New Year’s Eve. Click here to secure restaurant reservations or call 941-366-0007, ext. 224. Members of the public are invited to stroll from station to station tasting 50+ reds, whites, rosés and sparkling wines while talking with visiting wine specialists at Michael’s monthly Open House Wine Tastings. This December, Michael’s Wine Cellar will host a Holiday Open House Wine Tasting & Toy Drive event, 2-4 p.m. on Saturday, December 9, 2017. An unwrapped toy donation will serve as admission for this special event. Toy donations will be collected for the Salvation Army’s Angel Tree program. A wide selection of Michael’s gourmet gift baskets are readily available from Michael’s Wine Cellar throughout the holiday season; however, customized baskets for the true Scotch aficionado, Champagne lover or Bordeaux collector are also available through advanced orders. To place an order for customized baskets, call Michael’s retail specialists at 941-366-0007, ext. 249. The retail wine and spirits shop offers more than 1,000 international wines, craft beers, boutique spirits and wine accessories available to purchase individually as hostess presents or “Secret Santa” gifts. In addition to holiday parties catered on-premise and off-property by Michael’s Events & Catering, the Private Dining Room at Michael’s On East provides an elegant backdrop for breakfast, luncheon or dinnertime holiday celebrations for corporate groups, families and friends. Michael’s also serves as the exclusive caterer for all private parties held at Selby Gardens in downtown Sarasota and Bay Preserve in Osprey. Limited dates remain available for catered and on-premise holiday celebrations this season. Contact Michael’s Events & Catering Division at 941-366-0007, ext. 226 for more information. Guests interested in sharing the gift of great food, fine wines and culinary culture are invited to purchase Michael’s On East & Michael’s Wine Cellar gift cards. For a limited time, guests will receive a $20 bonus gift certificate with every $100 gift card purchased. Call 941-366-0007, ext. 249 or click here for complete details about the holiday gift card offer or to purchase cards. Some restrictions apply. It seems the holiday shopping season debuts earlier and earlier each year! To ensure we are ready whenever you decide to start stocking your family's stockings or shopping for that Secret Santa, the Michael's team is announcing our holiday gift certificate offering just a bit earlier this year as well! In addition to fine wines which make perfect hostess gifts and gourmet gift baskets which are great for those difficult-to-shop for friends and family members on your gift list, a Michael’s On East & Michael’s Wine Cellar gift card is sure to please. For a limited time, we are pleased to offer a special gift to you: Receive a $20 bonus gift certificate with every $100 gift card purchase! For a limited time only, so be sure to purchase your holiday gifts for clients, family, friends and neighbors today. Call 941-366-0007, ext. 249 or stop in the Restaurant or Wine Cellar to purchase gift cards. Please note: Purchases made in the Restaurant or Wine Cellar before January 1, 2018, qualify for the $20 bonus certificate. The $20 bonus certificate is valid through May 31, 2018. Some restrictions apply. 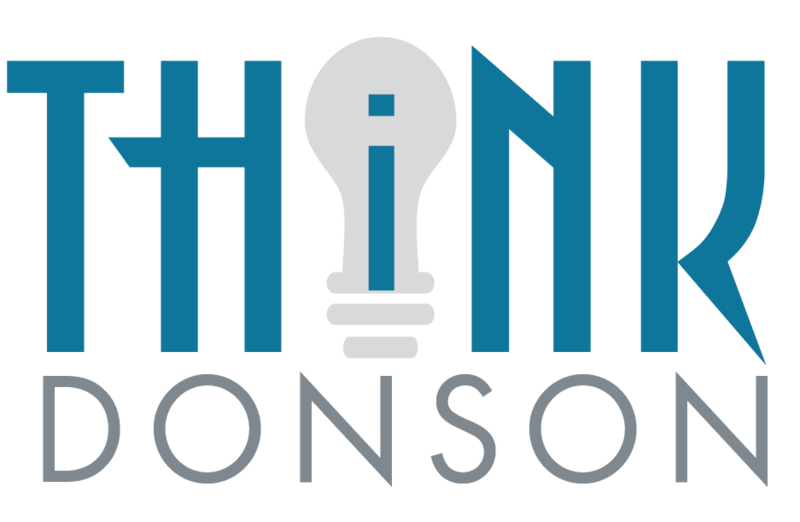 Perfect for procrastinators or those who enjoy shopping exclusively online, Michael and Phil are also pleased to offer a “eGift Card” option, allowing you the opportunity to print or email your gift card immediately! Click here to purchase a new “eGift Card,” redeemable at Michael’s On East and Michael’s Wine Cellar. 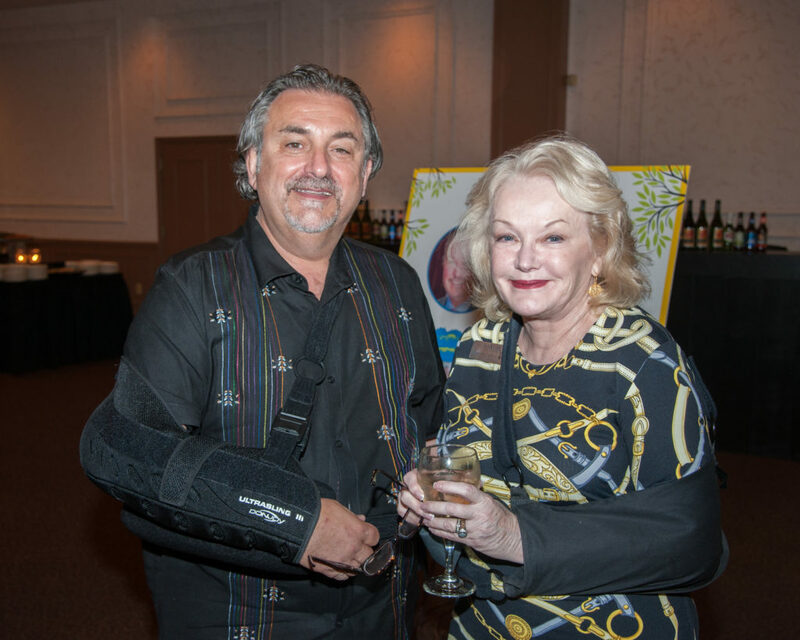 On October 11, 2017, it was with great honor that Michael Klauber accepted the 2017 Boundary Crosser Award on Sarasota County Openly Plans for Excellence (SCOPE) in the Michael’s On East Ballroom. Click here to learn more about the award and event from The Observer's coverage. The Michael’s On East culinary team loves the challenge of creating brand-new Epicurean Adventure lunch and dinner menus each month. However, this November, our chefs look forward to presenting special recipes all the way from Londolozi Game Reserve in South Africa! The Klaubers have fallen in love with Londolozi and South African cuisine as part of the bi-annual Gulf Coast Connoisseur Club journeys they lead in conjunction with Admiral Travel International every other year. Now, Sarasota residents and visitors can enjoy an authentic taste of Africa from the comfort of their favorite table in the Restaurant at Michael's On East! The Michael’s On East three-course South African Epicurean Adventure dinner menu is available Monday through Saturday evenings for $38.95 per person, November 1-30, 2017. The two-course lunch offering features a choice of entrée and dessert for $19.95 per person and is available Monday through Friday, 11:30 a.m. to 2 p.m.
As a proudly independent, family owned and operated restaurant, the entire Michael’s On East team takes special pride in offering holiday celebrations for our guests to enjoy with family and friends. A holiday menu—offering favorite signature dishes and inspired global fare—is offered on Thanksgiving, Christmas Eve, Christmas Day and New Year’s Eve. New Year’s Eve: Two dinner seatings are available on New Year’s Eve at Michael’s On East each year, 5-7 p.m. or 9-10 p.m. A $50 cover charge applies for the later seating, which includes live music and dancing. 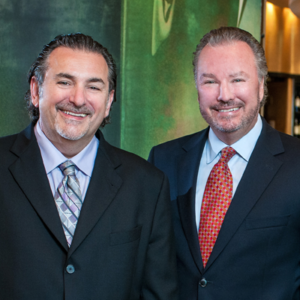 This fall Michael and Phil were delighted to receive an annual letter of recognition from DiRoNA, Distinguished Restaurants of North America. 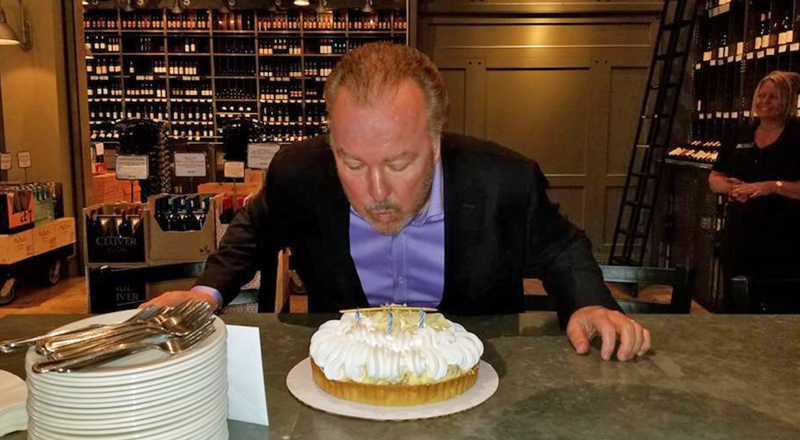 Since we celebrated our official 30th anniversary of the Restaurant this past April, it’s been fun to reminisce about so many important milestones this past year at Michael’s On East It’s remarkable to reflect about so many special occasions, and humbling to look back at many industry awards. Our friends at Distinguished Restaurants of North America reminded us recently how Michael’s On East has been honored by the DiRoNA every year since 1993! 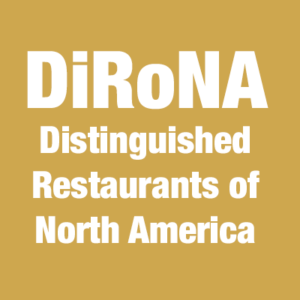 DiRōNA is North America’s most prestigious restaurant award. The award hangs on the wall of over 680 distinctive restaurants. A DiRōNA awarded restaurant represents the finest dining experience. 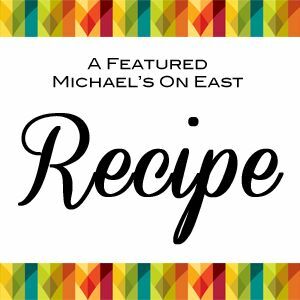 Another recipe from the Michael's On East kitchen - practically! This recipe has been shared by Chef Anna Ridgewell from South Africa’s Londolozi Game Reserve. Chef Anna will be hosting a series of special events in partnership with Michael’s On East this November: www.safarisarasota.com. Michael’s On East Executive Chef Jamil Pineda recently prepared this recipe for ABC 7 viewers to offer a preview of the “Safari Sarasota” events and the South African Epicurean Adventure menu which will be offered throughout November 2017 in the Restaurant. Remove the peel and pith from the grapefruit. Segment the grapefruits over a bowl, so you can keep the grapefruit juice. Squeeze the remaining juice out the grapefruits. In a bowl – place the honey, lime juice, fresh ginger & grapefruit juice and whisk together with the olive oil. Keep on the side to infuse the flavors. Clean and pat dry the scallops. Heat a non-stick pan and melt some butter. When hot, pan sear the scallops until golden brown on each side. Be gentle with them and don’t overcook as they will become tough! This will take about 4 minutes on each side. Place the rocket in a bowl and drizzle a little of the dressing over. Gently toss together, then place the rocket on the plate. Arrange the warm scallops (3 per person) on top of the rocket, sprinkle with pine nuts and the grapefruit segments. Drizzle a little of the dressing over and serve. From October 2–15, 2017, dozens of the best independent restaurants throughout Sarasota and Manatee County will be featuring specially priced breakfast, lunch and dinner prix fixe menu selections – inviting you to “Dine to the Nines!” A three-course dinner featuring original New Orleans fare will be available for $39 per person as well as a two-course lunch for $19 per person, in conjunction with the Sarasota-Manatee Originals' Eat Like a Local Restaurant Week, October 2-15. The featured New Orleans-themed menus will continue featured as Michael's Epicurean Adventure ($18.95 two-course lunch or $38.95 three-course dinner) offered October 15-31, 2017. It was in New Orleans where Michael's On East Founder and Co-Proprietor Michael Klauber gained his original love for food with bold flavor. 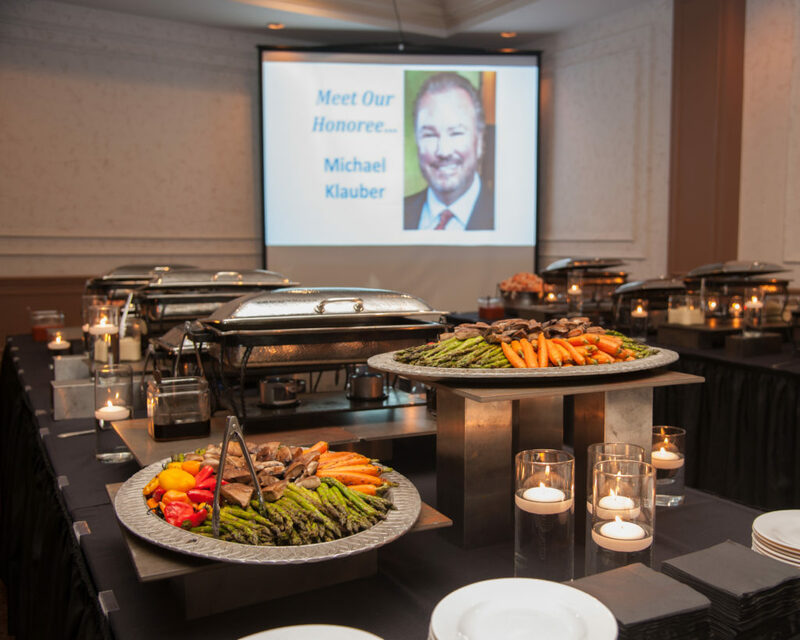 Following studies at Cornell University, Klauber began a management training program at the famed Royal Sonesta Hotel New Orleans where he worked directly with hotel General Manager Archie Casbarian. 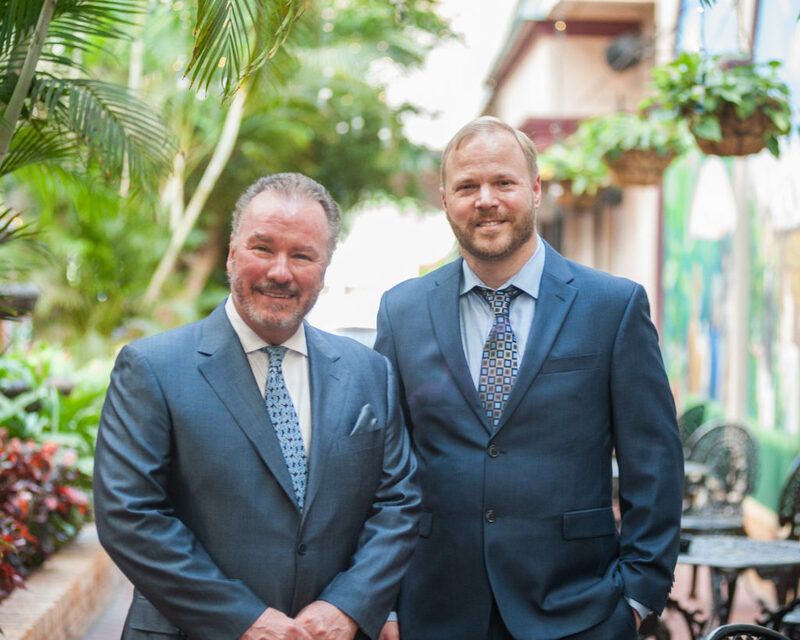 In 1978, Casbarian purchased the historic Arnaud's site and began restoration of the property, inviting Klauber to join him in transition and re-opening of the restaurant. Klauber worked with the Casbarian family from 1977 to 1980. 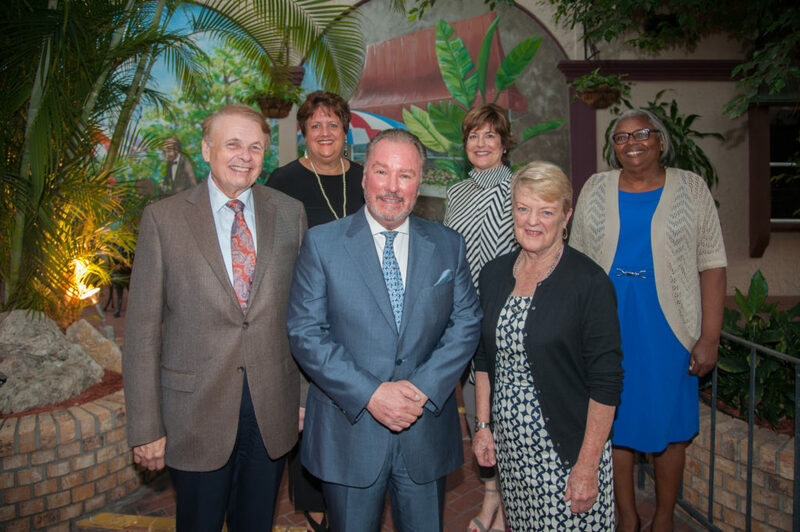 "Having recently celebrated 30 years, it's a nostalgic time to reflect and celebrate our history, and New Orleans is certainly an influential part of my history," said Klauber. "Count Arnaud (Cazenave) believed that 'the pursuit of the pleasures of the table is as worthy as anything else one chooses to pursue in life,' and I take great pride in serving our community and our guests. What I learned from my mentor Archie Casbarian is the philosophy of running the business from the guest's point of view. A philosophy we continue to live by today at Michael's On East."